Keep Scotland Beautiful is the charity that campaigns, acts and educates on a range of local, national and global issues to change behaviour and improve the quality of people’s lives and the places they care for. We undertake a range of activities across themes of Sustainable Development Education, Local Environmental Quality and Sustainability and Climate Change. 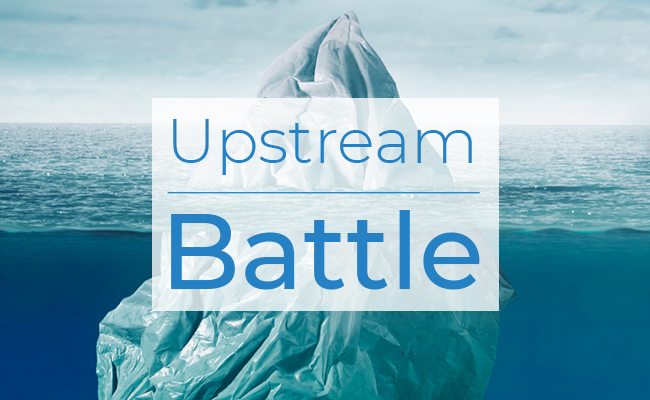 Our ambitious new campaign, Upstream Battle, is raising awareness of how land-based litter ends up in the sea. The first source to sea campaign of its kind in Scotland, it’s taking the issue of marine litter inland to the communities and people who have the power to stop it. Your donation will help us to support local communities to monitor and clean up litter along the River Clyde and motivate young people to reconnect with the river and become more aware of the problems litter causes. Help clean up our rivers and protect our seas - donate today. We are leading the way on improving Scotland’s environment, tackling a wide range of environmental issues, from reducing the amount of litter on our streets to cutting the carbon emissions that threaten our planet. Having been part of the environmental landscape for over 50 years, we draw together government, local authorities, businesses, community groups and individuals in this common cause. We are present in every village, town, and city in Scotland, and our activities are estimated to make a difference to 1 in 5 people living in Scotland. Through our work we aim to help people to change the way they think about the environment and encourage them to take action to improve and protect it. Our goal is to make Scotland a cleaner, greener and more sustainable place to live, work and visit. In order to achieve the change we need, the whole country needs to work together. As a key partner for individuals and communities, local and central government, third sector organisations and private sector businesses, we are at the heart of that effort.